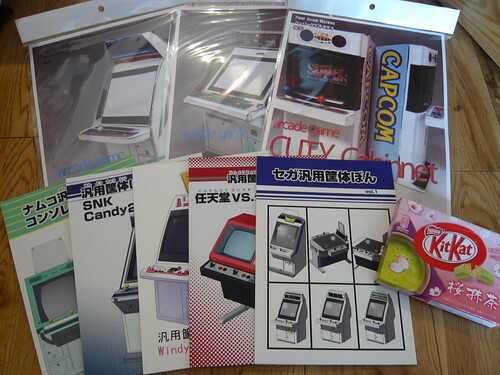 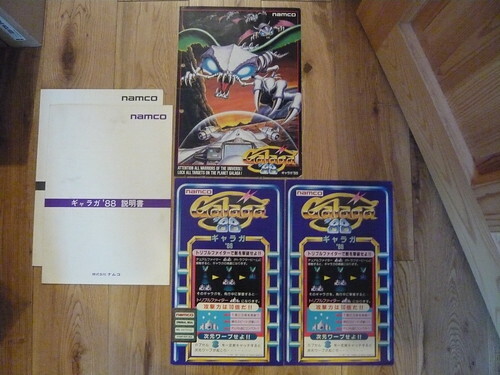 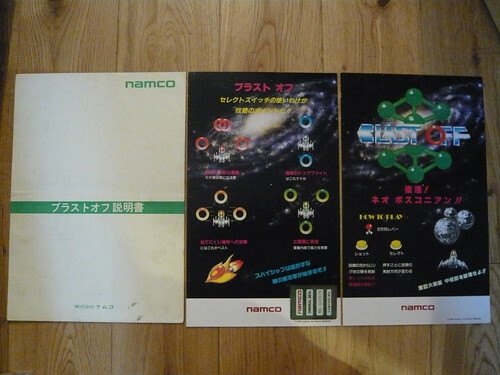 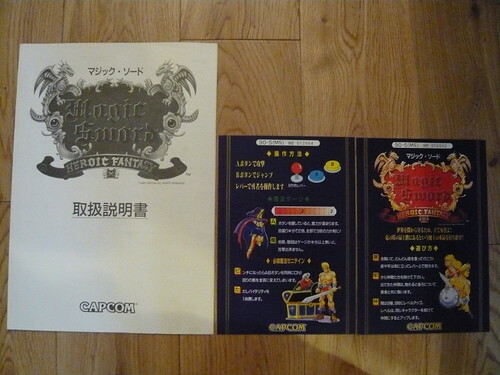 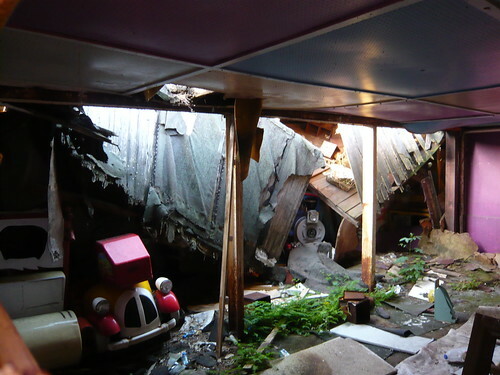 The Namco Consolette book mentions the awesome Nanboya arcade in Osaka, pretty cool. 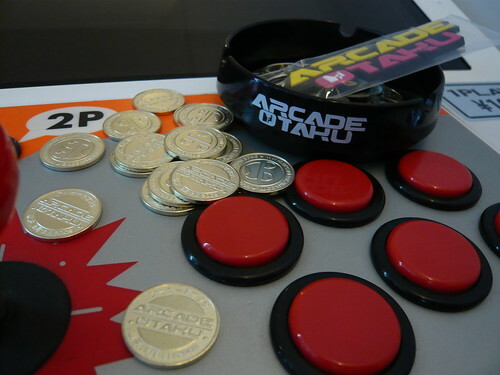 Many thanks to A Beads C Start, Rancor for the books and paper craft models and Devil Soundwave for the awesome AO tokens, ashtray and keychain. 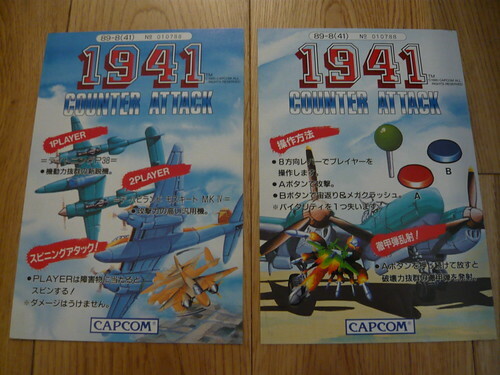 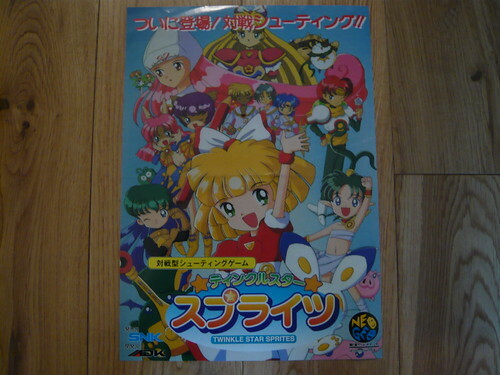 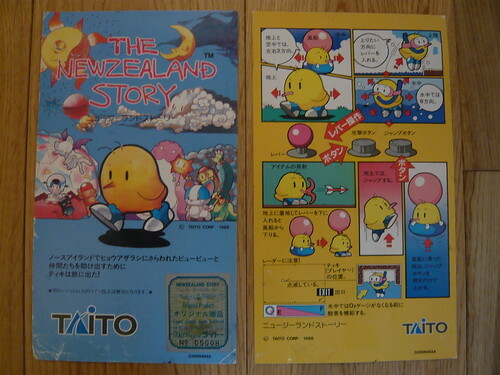 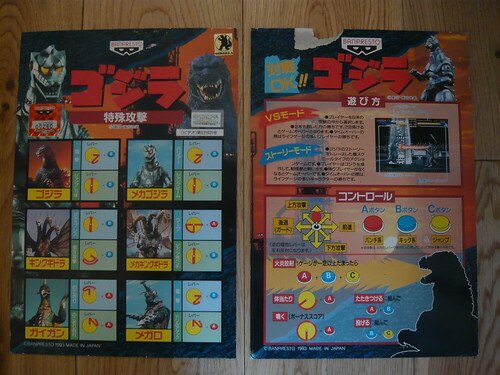 Here are some arts I recently picked up from Yahoo Japan. 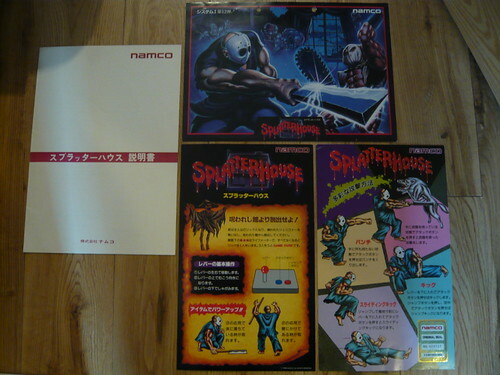 I’m especially pleased to finally get hold of a Splatterhouse art set. 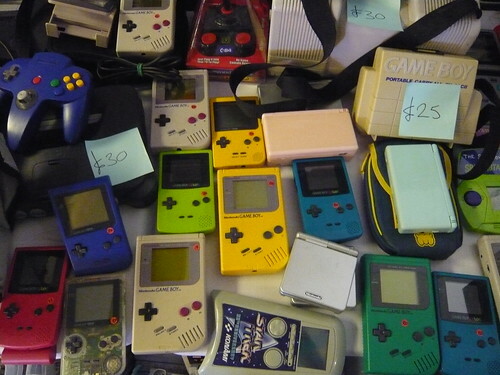 I’ve lost count of the number of times I’ve been outbid on these. 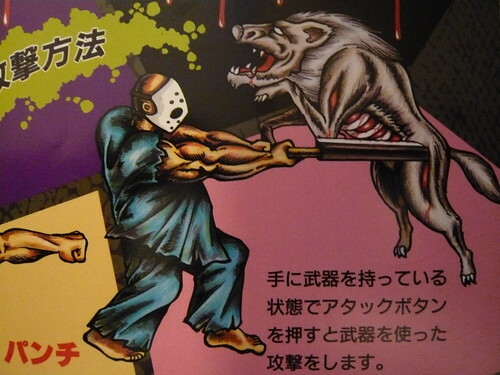 I just need to keep an look out for the awesome hockey mask pop now! 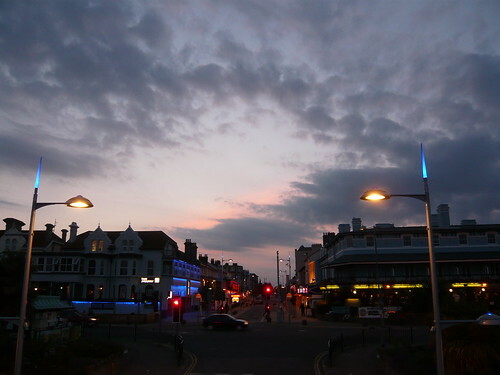 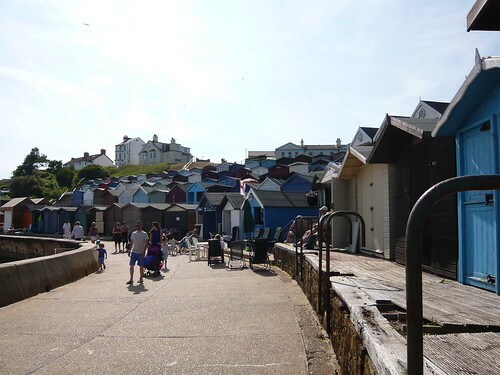 We recently spent a couple of days in Clacton and enjoyed the traditional seaside fayre – fish n chips, ice cream, paddling in the sea (fortunately we had nice weather!) 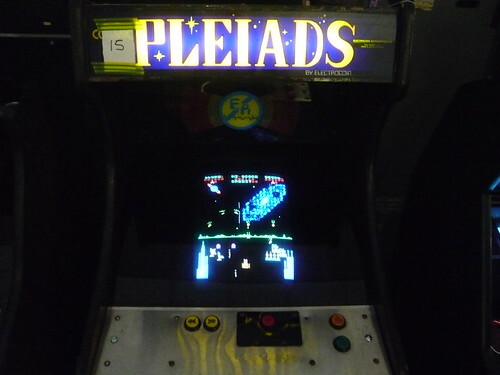 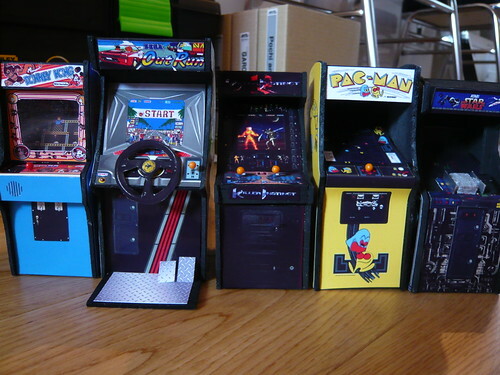 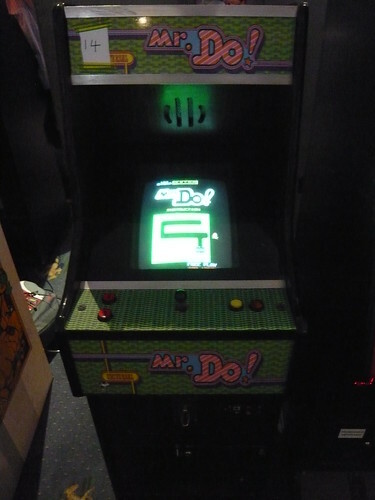 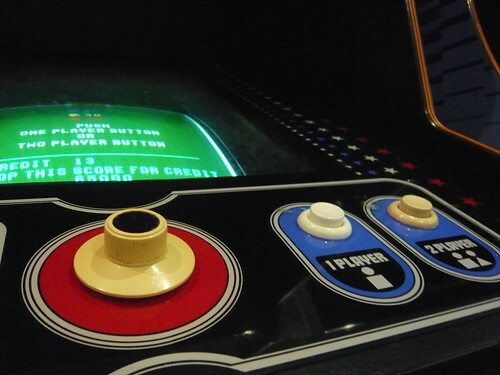 and of course, arcades! 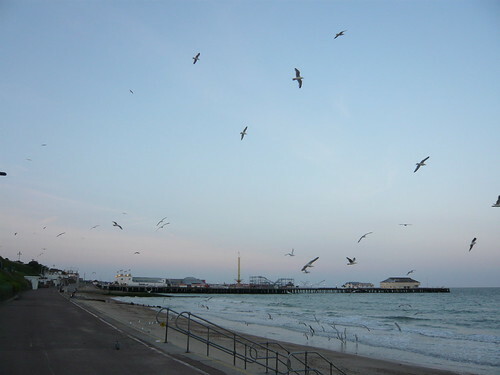 We stayed in a caravan on Martello Beach holiday park. 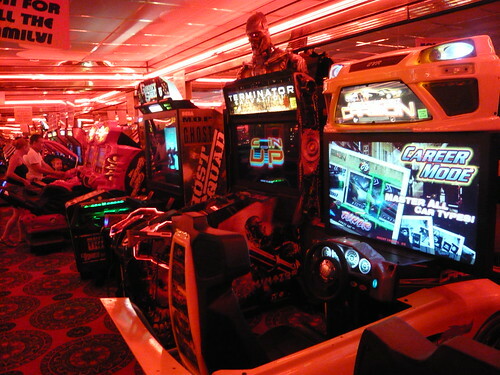 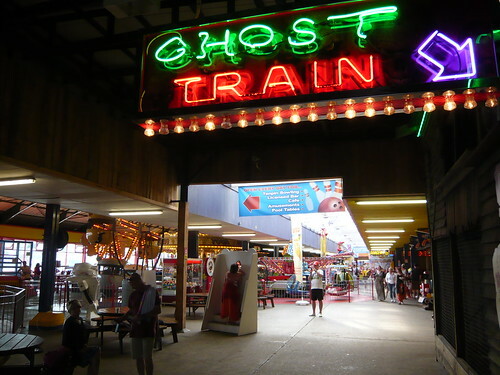 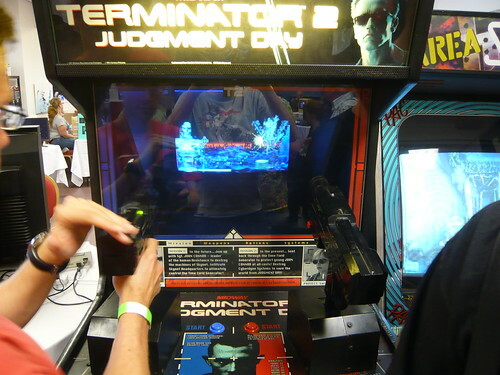 The park itself had an arcade featuring F355 Challenge, Ghost Squad, The House of the Dead III and OutRun2. 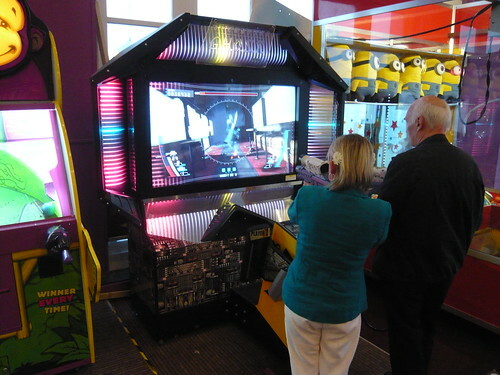 I was really happy to play some OR2 as they’ve all disappeared from Great Yarmouth. 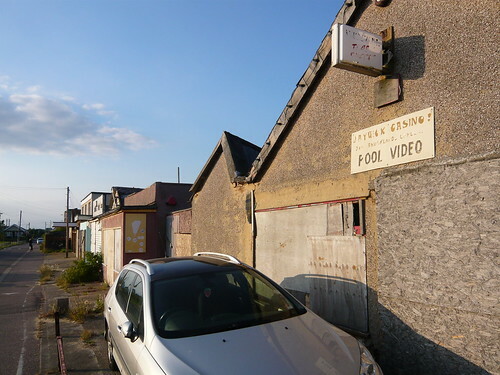 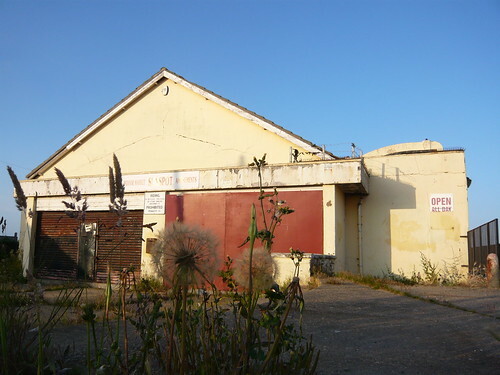 Walking through the small seaside village of Jaywick we passed by some arcades. 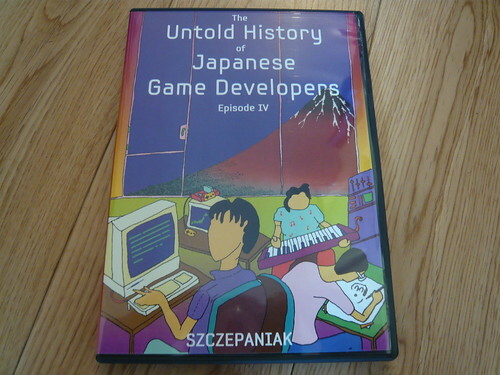 Once again I’m 20 years too late and can only imagine what they were like in their heyday. 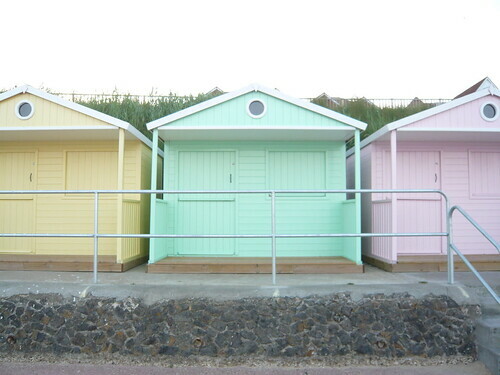 We passed these beach huts and my first thought was Mini Cutes. 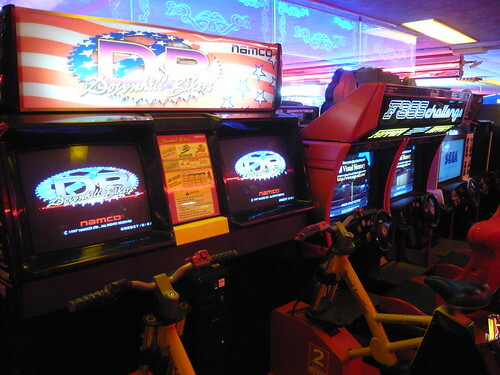 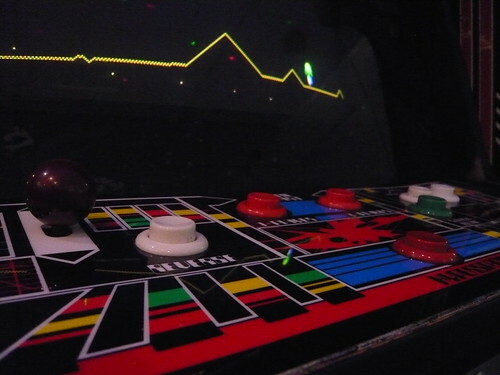 Clacton pier had a fair selection of modern games, but nothing old. 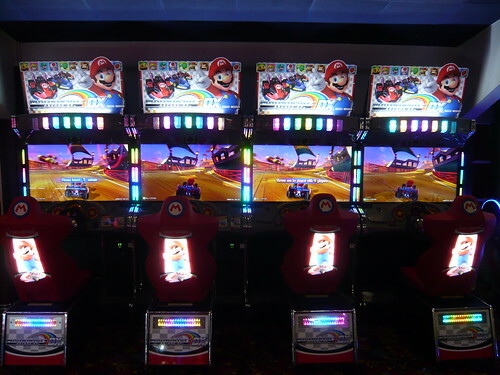 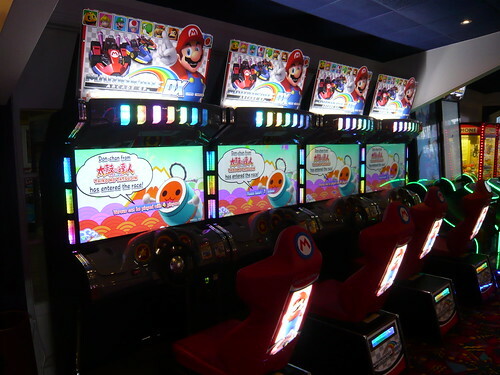 It’s the first time I’d seen the newly released Mario Kart Arcade GP DX. 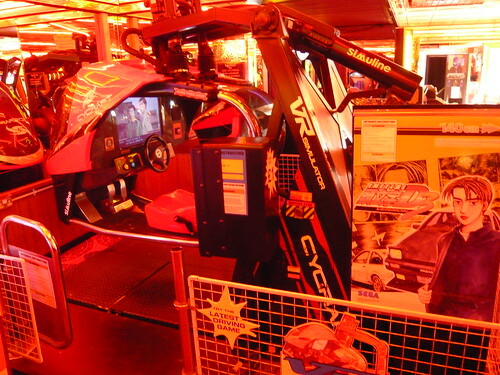 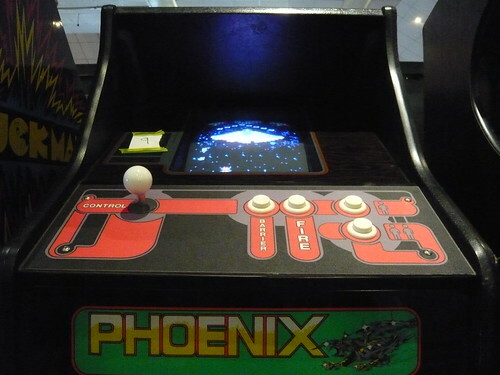 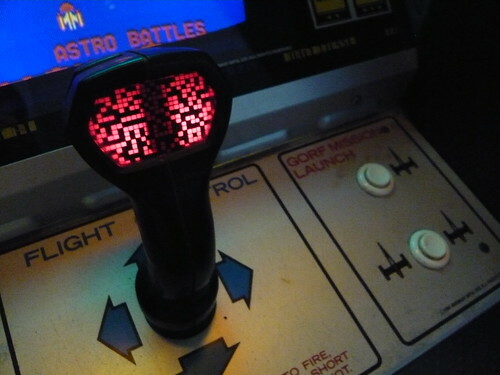 This was in quite a few arcades in Clacton. 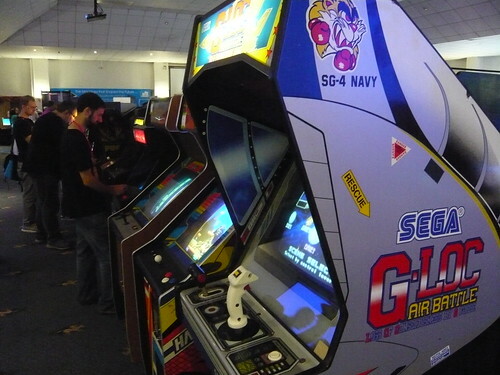 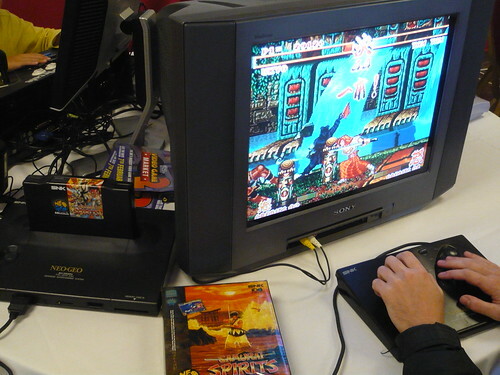 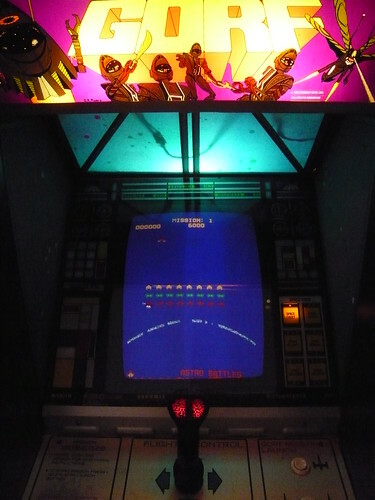 Also it was cool seeing Gaia Attack 4, Taito’s answer to Point Blank. 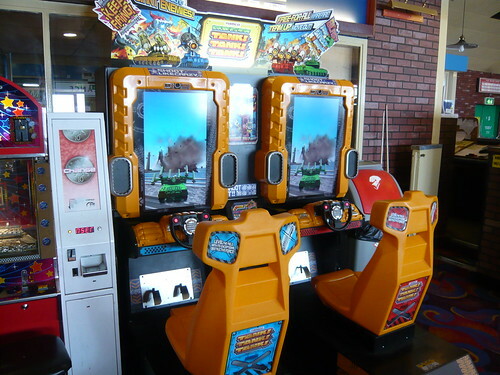 I saw this on my last trip to Japan and had no idea it was released over here. 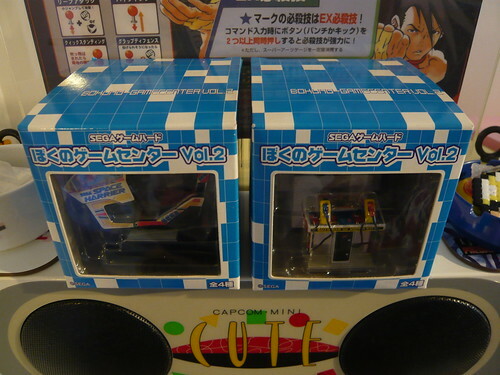 Don-chan finally reaches these shores! 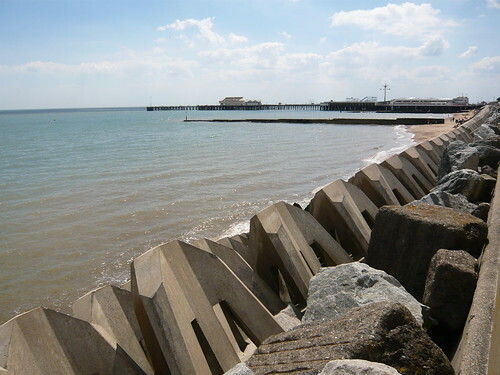 The sea defences look like they’ve been inspired by Pac-Man ghosts. 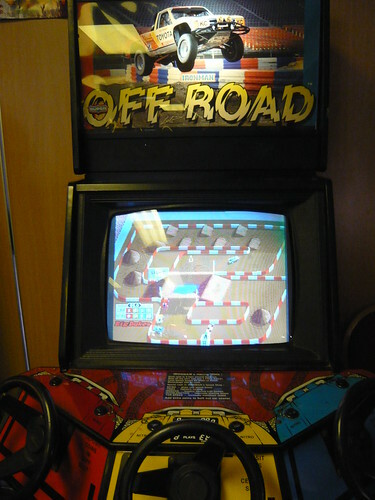 It was nice to play Operation G.H.O.S.T. 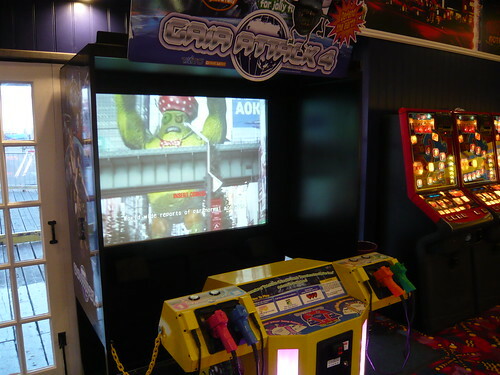 in the arcade/bowling alley just across the road from the pier, first time I’ve seen this. 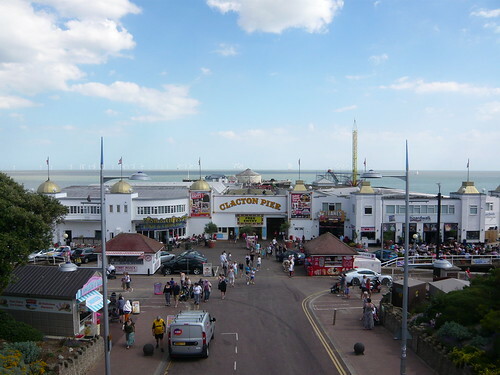 The amusement arcades along Pier Avenue were also devoid of any classics. 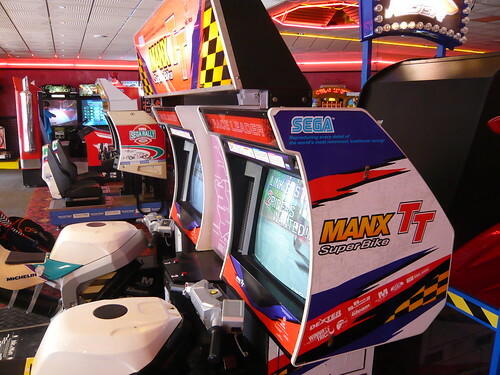 Walton Pier had quite a few videogames, mostly modern except for a few Sega classics. 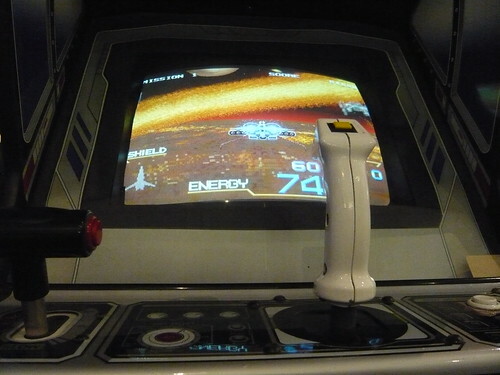 There was an OutRun2SP DLX cabinet, but unfortunately the rear projection screen was in very poor condition. 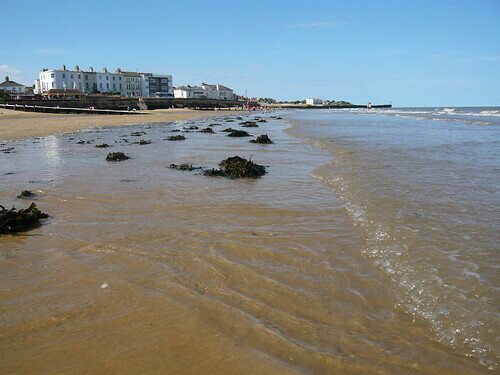 It was a lovely hot and sunny day and we spent most of our time here paddling and collecting shells along the beach. 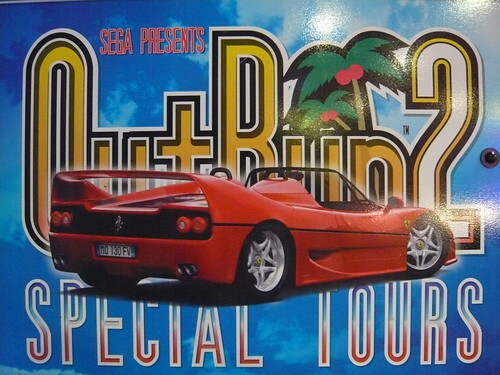 I had a couple of credits on OutRun2 Special Tours and Downhill Bikers. 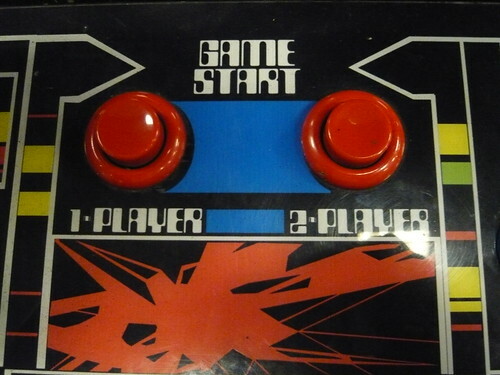 I thought (hoped!) 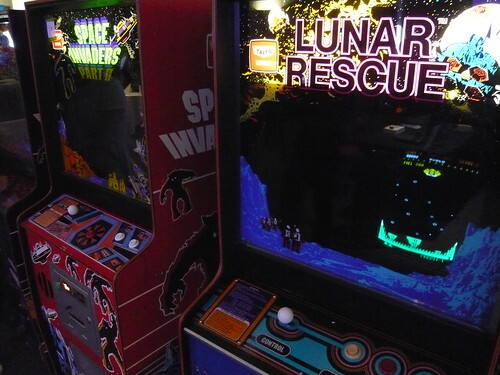 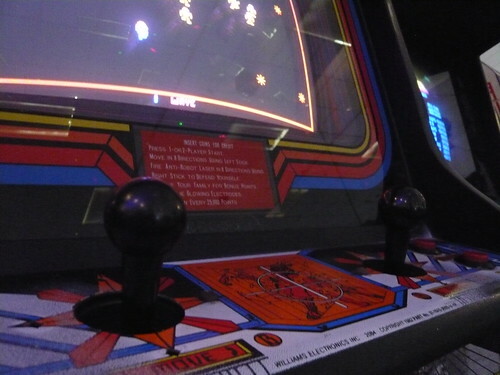 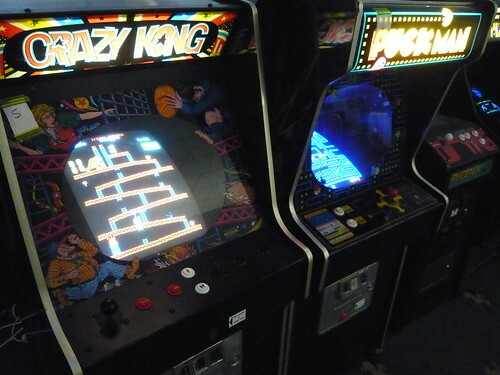 there might be a few classics hidden away in the arcades here, but sadly it wasn’t to be. 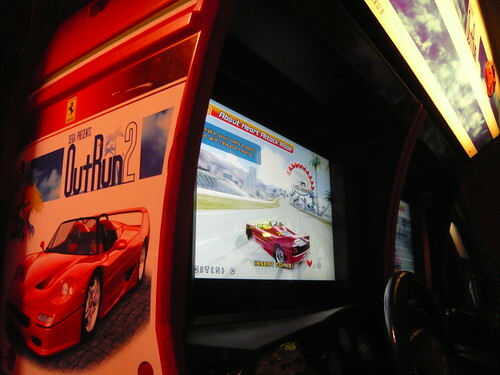 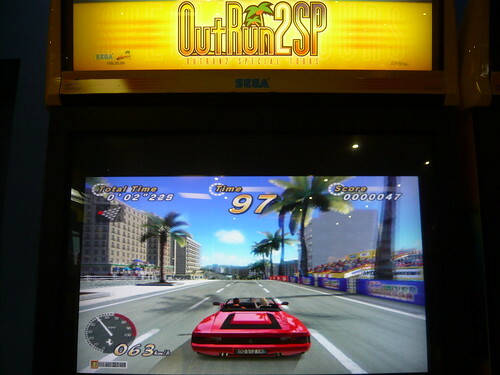 The OutRun2SP DLX cabinets were on Seawick Holiday Park. 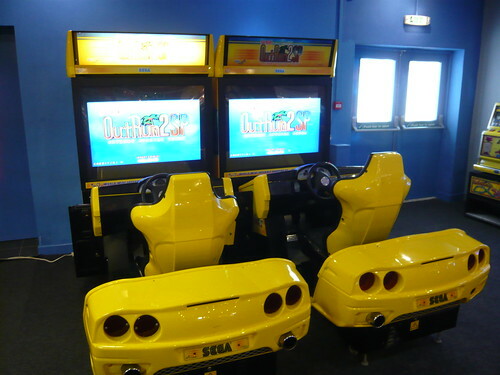 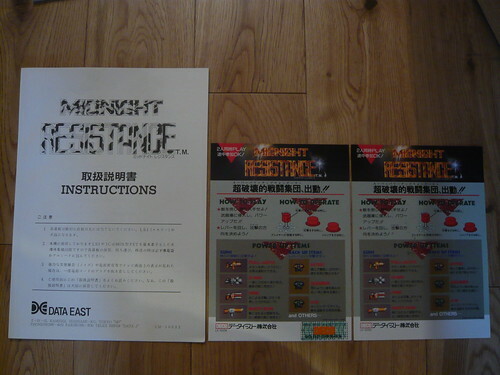 These ones were in excellent condition and had received a Sega LCD upgrade. 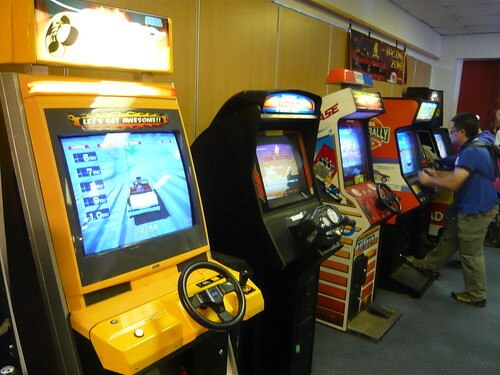 Here are some pics and a video of Revival 2014, held at Dunstall Race Course, Wolverhampton on the 9th and 10th of August. 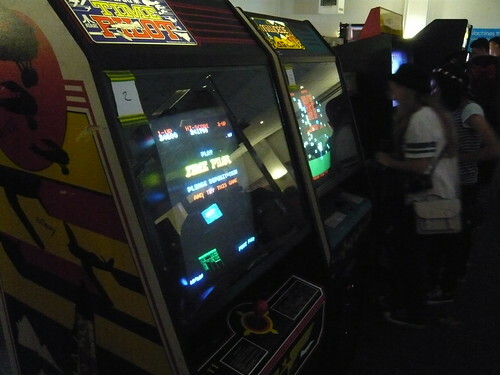 This was my first time to one of these events. 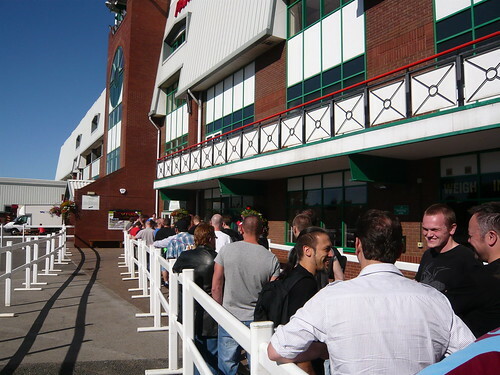 The video was taken shortly after the venue opened on Sunday. 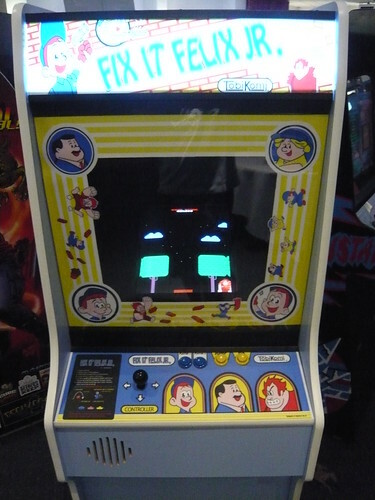 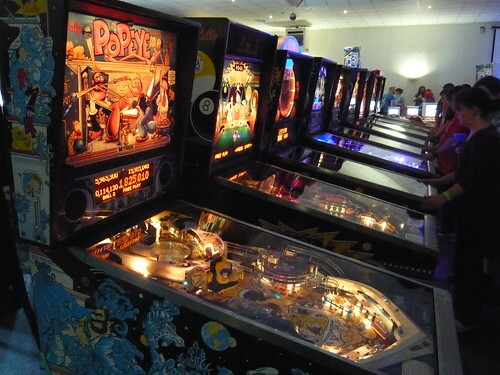 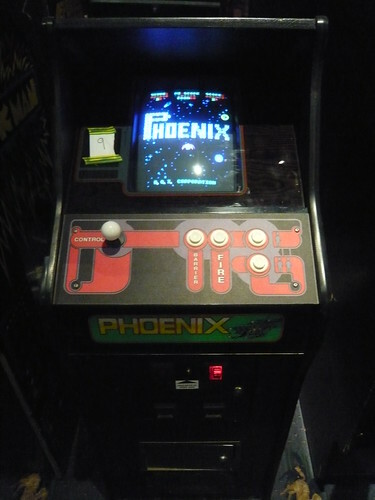 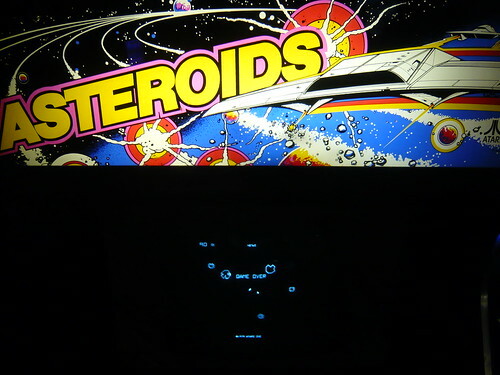 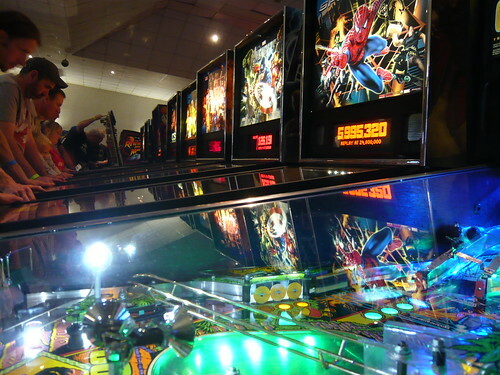 I had an awesome weekend of gaming and was able to play loads of cabinets and pinball machines. 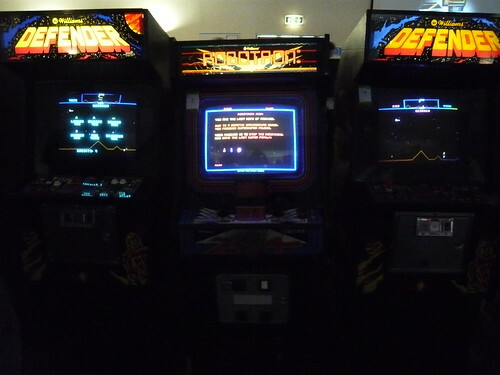 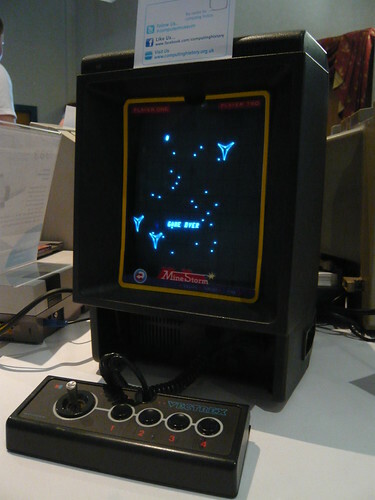 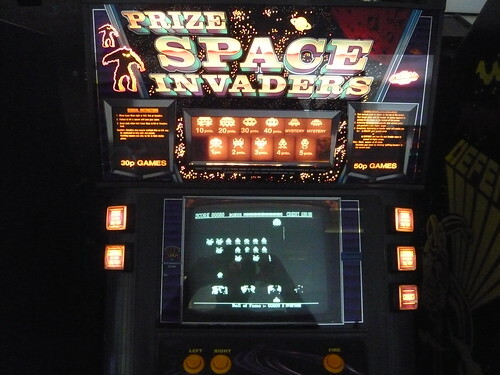 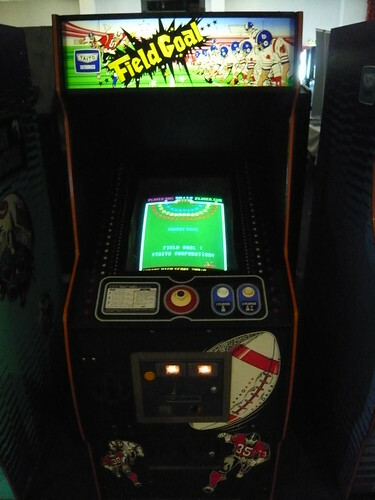 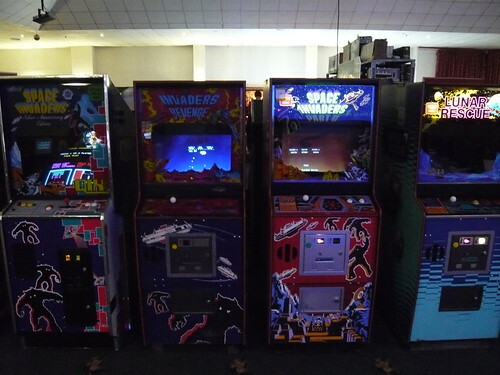 Highlights include Gorf, Defender, the Space Invader and Lunar Rescue line up and Galaxy Force II (in a G-Loc cabinet). 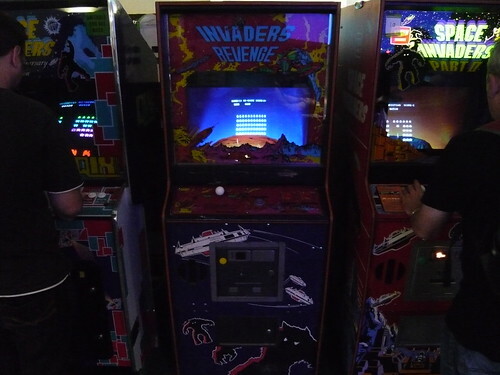 It was also pretty cool seeing John Romero play Doom against fellow players. 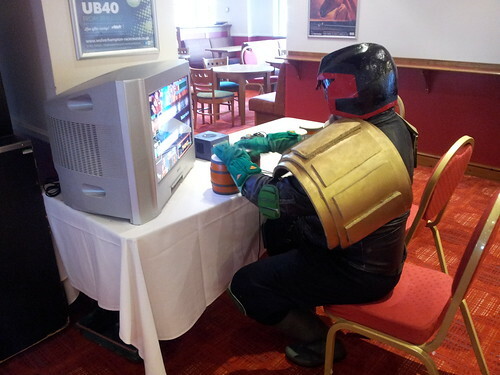 It’s not every day you see Judge Dredd playing the bongos! 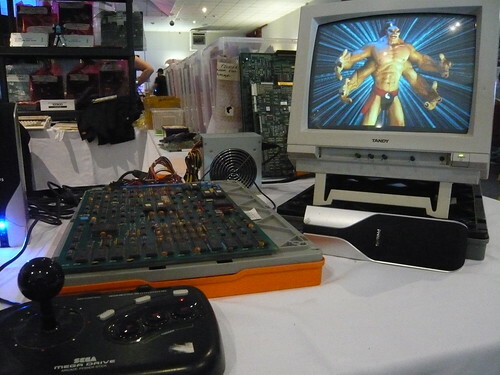 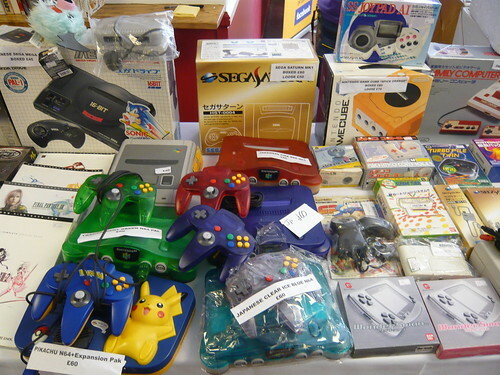 There was a nice selection of traders, including a PCB and arcade parts seller. 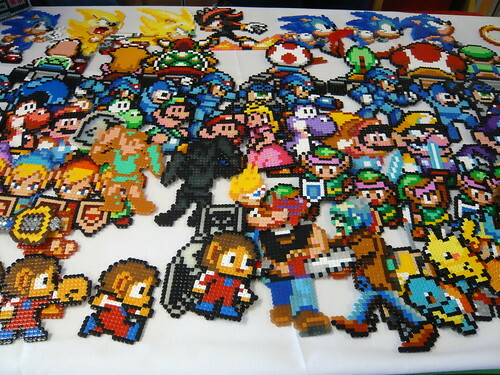 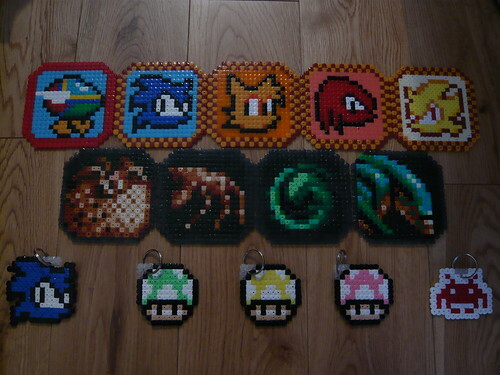 I picked up two PCB’s, Crime Fighters (Konami) and Thunder Hoop (Gealco) and some cool bead sprites. 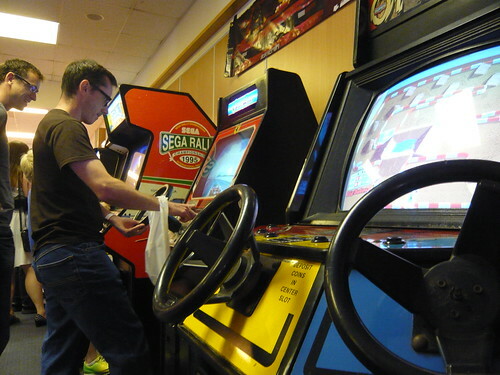 An awesome weekend, I’m already looking forward to Revival 2015!